If you’re in any doubt how to celebrate the Queen’s Silver Jubilee in regal style, what better than a “Limited Edition” can of Heinz Baked Beans with a 1952 replica label? 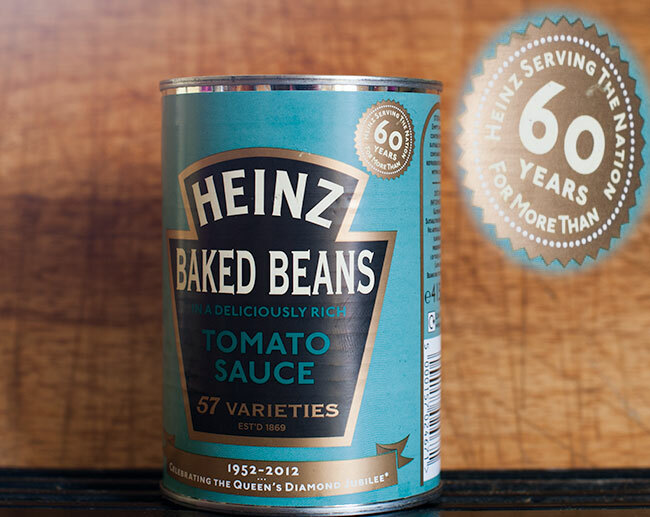 Just like the Queen, Heinz is proud to have been serving the nation for (in its case more than) 60 years. It’s 2012 prices though. But go on, be patriotic and splash out the cash!